Apple is holding a “special event” in a few minutes (10:00AM Pacific) to announce at least one new product, which most people are expecting to be a smaller version of the iPad. Will it be called the “iPad Mini” or something else? Hopefully, something else. Aside from that, there are rumors that suggest a new full-sized iPad with Lighting connector will be unveiled, along with a retina 13″ Macbook Pro. Personally, all I care about is the 13″ retina Macbook Pro, but we know that there is probably a market for a smaller iPad, or Apple wouldn’t have created one. Since the Android world is frozen in time because of this event, we thought we would live chat during it. Be sure to jump into the IRC below. 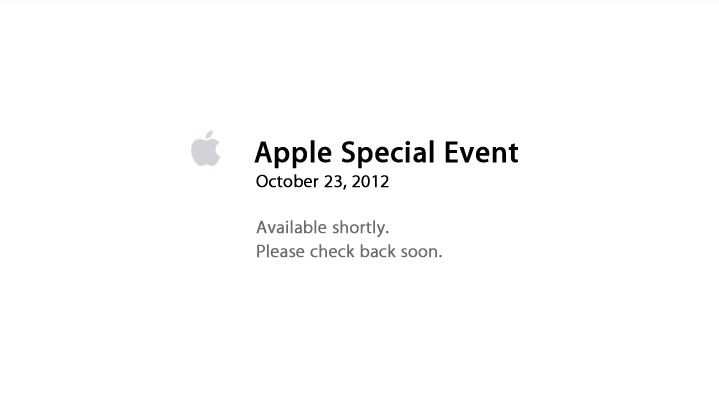 If you want to watch the event, you can check it out at Apple’s site.